Mary Manners is a contest success story. She received a request from a final round judge, which led to her First Sale. 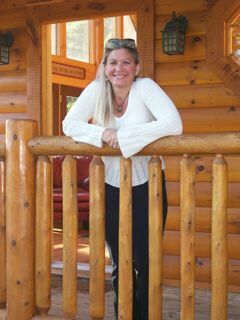 Her debut novel, Mended Heart, is available from White Rose Publishing. Seymour, Tennessee in the foothills of the Great Smoky Mountains is Mary’s hometown, where she lives with her husband, Tim, “the sweetest and most patient man,” and their 16-year-old daughter, Danni, who is learning to drive. They share their house with two cats and two dogs, all rescued from animal shelters. Mary and Tim have two sons serving our country in the Air Force, Brad and Tyler, a lovely daughter-in-law, and two beloved grandsons. Mary teaches seventh grade math and English. She’s been educating young people for twenty-five years and loves what she does. Four times she was named “Teacher of the Year” in her county. Her collection of degrees includes a bachelor’s in special education and elementary education as well as a master’s degree in curriculum and instruction and an education specialist degree in administration and supervision. When she’s not teaching, writing, or helping her daughter learn to drive, Mary loves running—to clear her head—and reading—to keep the creative juices flowing. She enjoys creating gift baskets for charity events and mowing the lawn—with a push mower no less. She grew up in Chicago, worked her way through college washing dishes, waitressing, and teaching figure skating lessons. Her favorite food is asparagus…straight out of the can! One of Mary’s favorite snacks is cheese queso, so in her honor I have a big ol’ bowl of white tortilla chips with a crock of warm queso. Help yourself to this calorie-free cyber fare, sit back, and enjoy learning more about Mary. •When did you first hear the call to write? At birth. Seriously…I think I came out holding a pencil. I have very vivid memories as young as the age of 3 of scribbling on paper to tell my ‘stories.’ I wrote my first full-length manuscript in the sixth grade. •You experienced your first contest placements as an unpublished writer in 2006—a double final in the Southern Heat—and that was only the beginning of some serious success. What were some of the highlights of your time traveling the Contest Circuit? Are there some wins that stood out and had special significance? Editor Nicola Martinez from White Rose Publishing requested Mended Heart, and now she has also contracted my second inspirational romance, Tender Mercies. •This past May 18 you received a call that changed your life: The Call. OK, these days it may have been The Email. Whichever it was, you must have been thrilled. Please tell us about the experience, what thoughts ran through your mind, and if you screamed so loudly the neighbors wondered if they should call 9-1-1. Oh, what an amazing day! I was at school, and the students had just left for the day. When I checked my email before leaving, there it was…an email from Nicola congratulating me on becoming the newest member of the White Rose Family. Amazing…truly. I ran down the hall to tell my sister, who also teaches. I was crying with joy. •Four years passed between the time you began writing and your First Sale. What kept you going despite bouts of doubts and a growing rejection collection? My husband and daughter believed in me, and they encouraged me to keep going. My daughter gave me chills one day when we were driving in the car. Out of the blue she said, “Mama, I know you’re gonna be published soon.” A month later I got ‘the call.’ Wow! •Who or what sparks the ideas for your stories? I get ideas when I mow. I don’t know what the connection is, but it’s there. My husband wants to get rid of our push mowers and buy a riding mower (we live on two acres) but I told him it would be the death of my writing career! •What does a typical writing day look like for you? Or is there such a thing as a typical day? Wow…it depends. In the summer, when I’m off from teaching, I get up at dawn and write for 4-5 hours, then take a break for lunch and a run, and then I write until my husband comes home from work. I can go 12-14 hours and it’s still not enough. A perfect day is a 14-16 chunk of time with no phone calls, no housework…just me and the computer. It’s like being in a time warp when I write like that. The hours melt away and 14-16 hours seem like the blink of an eye. During the school year I get up at 4:00 and head to school where I can write until the kids come into class. Then I work more in the evening. •Where do you craft your stories? Do you hole up in an office, hang out at a coffee house, or sit on a chair in your back yard soaking in the view? I like to be at home where everything is familiar, except for my early hours at school during the school year. Sometimes, though, for a change I’ll head to our local coffee shop. For the most part, though, I’m a solitary writer. •How do you begin a story? Do you just sit down with an idea in mind and start writing, or are you a person who wouldn’t dream of starting without a detailed outline, character sketches, and pages of research data? I begin with a sentence or two idea, and run from there. I’ve never done an outline and any research is very basic. My upcoming release, Tender Mercies, has an NFL quarterback as the hero, so I had to ask my husband, who’s a football fanatic, to help me with some of that. •Please tell us about Mended Heart. Jade McAllister returns home to Pineyville, Tennessee to help nurse her estranged mother back to health. She’s grateful her friend found her a job as an administrative assistant at Pineyville Church. That is, until she runs into Shane Calkin—the bad-boy-wannabe who broke her heart. Shane’s job as Youth Director at the church is a far cry from his high school days as the town’s privileged rich kid. The death of his sister has left him with a young niece to raise and a rambunctious puppy to tame. He’s not the self-centered person who once hurt Jade, and all he wants now is a second chance to love her. But how can he prove it to her? •Your cover has been revealed. What was your reaction when you saw it for the first time? Oh, I cried! My daughter was home, and one of her friends was over, and they thought something was wrong until I showed them the beautiful cover art. •I haven’t sold a book, but I hear the firsts can be amazing experiences. First look. First time to hold your novel in your hands. First time you read a review. What struck you the most during the months leading up to your release? I was truly touched by the reaction I got from my friends when they found out I was going to be published. They were so supportive and happy, and their words brought home to me how very difficult it is to become published. •You’ve already received a number of glowing reviews. Which have meant the most to you, and why? My mother-in-law’s. She reads so many books, she’s a tough cookie. When she told me how much she loved mine, she began to cry. Then I cried, too. •Your first book is in your editor’s hands. What are you working on now? My editor has four full-length novels and a short story in her hands. I’ve been contracted for two, and am waiting on word from the other three. I have one to revise, and the next idea is floating around, waiting its turn. ~ To get my name out there…to become a well-known author. ~ To retire from teaching and write full-time. ~ To get my daughter into college and on the journey to beginning her own life adventure. ~ To take a loonnngggg vacation to somewhere warm and sandy with my wonderful husband. ~ To write, write, write and get published, published, published! All of my books are based on Bible verses. What is your favorite Bible verse…perhaps one that has significance in your life or helped you through a difficult time? If you don’t have a verse to share, what is a saying that is special to you? Mary has generously offered to give away a print or e-copy of Mended Heart. Congratulations to Alison, winner of Mary’s book. Note: Offer void where prohibited. Odds of winning vary due to the number of entrants. This entry was posted in author interview, first sale story, writing and tagged author interview, first sale story, Mary Manners, Mended Hearts, romance writers, romance writing, White Rose Publishing, writing. Bookmark the permalink. Thank you for stopping by. Proverbs 3-5 is one of my favorites, as well, and you will find it in my inspirational romance work-in-progress, Wisdom Tree, which should be available this coming summer. God bless you as you go through your day. How exciting it must have been to get a request from a contest judge…What a great story! It is so nice to hear from you. Wow, we also share a favorite Bible verse. You can find my fourth inspirational romance, Light the Fire, based on Deut. 31:8. It’s a very powerful message. Thank you for your uplifting comment. I really appreciate you. God is certainly good. Thank you for sharing Psalm 19:14. I like ‘Trust in the Lord with all your heart’ too – a simple but prayerful pieve of advice. Thank you for visiting, and for sharing. Oh, your favorite verse has seen me through some tough times! I appreciate you! Favorite Bible verse is Philippians 1:6. Your book sounds wonderful! I love all the titles you’ve chosen. Does White Rose put out the hardcopy of a book at the same time as the electronic copy? I know there used to be a six month wait for the paperback version. Blessings and continued success with your writing! Thanks for stopping by. 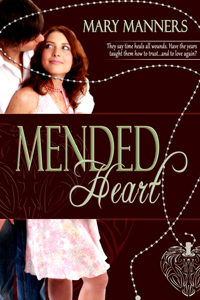 Print copies of Mended Heart became available upon its release, just as the ebook did. I think it just depends on the book, the length of the book, etc. Have a great day and I hope you enjoy Mended Heart! I’m torn between two Bible verses. I love Psalm 51:10 – Create in me a clean heart, O God; and renew a right spirit within me. But Philippians 4:8 is also a favorite: Finally, brethren, whatsoever things are true, whatsoever things are honest, whatsoever things are just, whatsoever things are pure, whatsoever things are lovely, whatsoever things are of good report; if there be any virtue, and if there be any praise, think on these things. What a pleasure to hear from you! You are always so uplifting, and I appreciate you. As for being a ‘seat-of-the-pants’ writer…isn’t that the way life works, too? The best laid plans can go awry. I find my writing is more real when I allow the characters to truly come alive. Thanks for sharing your favorite verses. I especially like Philippians 4:8, and needed to hear it today. God bless you, Delia. You have such a warm and giving heart. I know I mentioned this before, but enjoyed reading your story. I wish you much success for these other books that you mentioned above. Wow, you’re an early riser, too. What a great way to begin my day…to read such an uplifting comment from you. I appreciate you, and I’m so glad you enjoyed Mended Heart. Mary, it’s been a pleasure haivng you as my guest. I enjoyed learning more about you and your journey to publication. Thanks to everyone who stopped by and to those who left comments for Mary. I held the drawing, and the winner of a copy of Mary’s debut novel, Mended Hearts, is Alison. Congratulations, Alison! I’ll be in touch. Thank you to all who visited this week and a special thank you for the wonderful Bible verses and words of encouragement. You all rock! May God bless you all your days, and surround you with His grace.